A software developer with 10+ years of experience developing a range of products, including startup websites to event managing applications. I am technically skilled and adept to developing professional, top-quality products. Paul got our issue figured out fast. Excellent service and responsiveness. Wish we would have hired him much earlier in the process. Paul was so great to work with. Communication was stellar and his capability was more than I expected. He went beyond what was required. Will definitely work with Paul again. 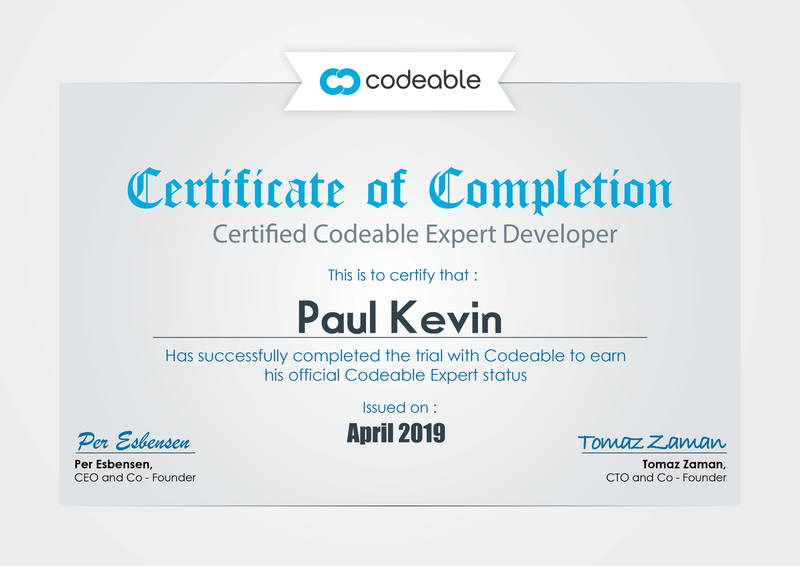 Great first time overall experience with Paul Kevin & Codeable. Keep it up! Paul was fast to respond, assessed the problem, provided a solution that he felt would work and then proceeded to implement his solution and it did work. I am technically challenged so asked Paul to undertake all the work required which he did, including installing a new plugin. His follow up is great and his timeliness can't be faulted. Top marks for initiative too, especially as I was out of my depth completely. Thank you Paul.